Caterpillar builds a complete line of wheel loaders, including on off the world's largest 994H. All these Integrated Toolcarriers operate a wide variety of work tools. In December of 1959, the first production Caterpillar Wheel Loader was driven off the assembly line at the Caterpillar plant in Aurora, Illinois. The 944 Wheel "Traxcavator", a 105 hp gas or diesel engine equipped with 2 yd³ bucket, was the culmination of a seven-year development effort and the beginning of Caterpillar’s leadership in the worldwide market of Wheel Loaders. Within a years time, Caterpillar added two additional models, the 80 hp model 922A wheel loader and the 140 hp 966A Wheel Loader. Following a few years later Caterpillar would introduce the 980, 988, 930, and 950 wheel loaders. 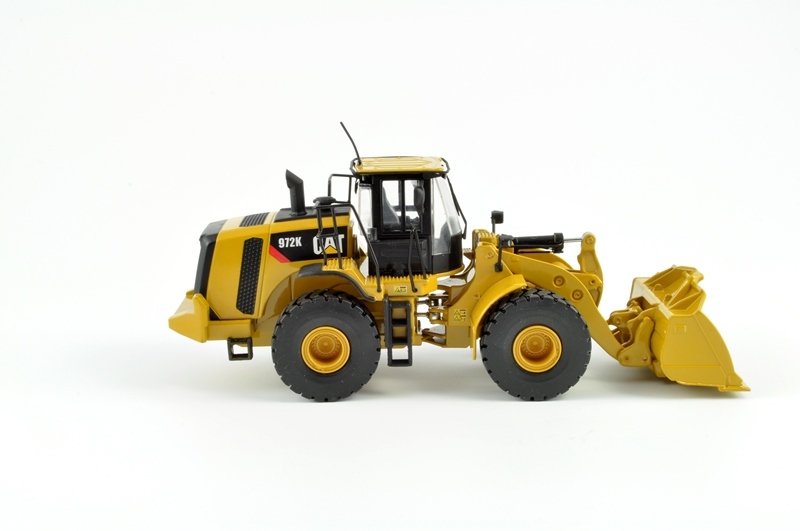 Over the course of, already more then, 50 years, Caterpillar would design and update a total of 83 different Wheel Loader models. Today, Caterpillar’s Wheel Loaders offer a full product line consisting of 19 different models. The wheel loaders range in engine power from 52 hp to 1463 hp with a bucket capacity range of 0.78 yd³ to 41 yd³. With almost a half a million Wheel Loaders sold over the last 50 years, Caterpillar has been a part of building communities around the world. Caterpillars goal is to continue making progress possible for another 50 years and beyond by providing their customers with the world's best Wheel Loaders.